Not every black person who dies under suspect circumstances becomes a hashtag. In fact, more often than not, the death goes unnoticed by the national media and social media alike, leaving friends and families of the victims with more questions than answers. In the past two years, in small towns all across the country, bodies of black men and women have been found under very mysterious circumstances. In most of these incidents, authorities have either closed the case, declaring them suicides or accidents (usually against the wishes and better judgment of the families), or have left the cases unsolved. Unresolved black death is not unusual. One-third of all murders in the U.S. go unsolved, and in 2013, 86 percent of murders involving a white victim were solved, while only 45 percent of murders where the victim was black were solved. No one can explain if this exists because of a code of silence, lack of resources or the inherent bias that black people fight every day. While cases like JonBenét Ramsey’s become high-profile, thousands of others are quietly swept under the rug every day, offering parents, loved ones and communities no resolution. 1. Roosevelt Champion III: In 2015, police twice questioned Roosevelt Champion III about the recent death of a white woman in the small, rural town of Greensboro, Ga. After interrogating him, police released Champion without filing charges, and his family said he seemed unbothered by the events and happy about his new job. Less than a week later, he was found hanging from a tree using a plastic zip tie. The Muslim teen’s family reported Keita missing six weeks before his body was discovered, and said he had no history of depression or mental-health issues. Yet, after reviewing the case, the FBI found that the aspiring doctor was not murdered and closed the case. 3. Lennon Lacy: A teenager wearing shoes a size-and-a-half too small and not his own, with someone else’s belts tied around his neck, was found hanging from a swing set before his first start of the football season in August 2014. Bladenboro, N.C., police identified the body as 17-year-old Lennon Lacy. Even though a white male had threatened that he was going to kill and hang Lennon, and despite the fact that the teen had been warned about his interracial relationship with a 31-year-old white woman, state, local and federal investigators—against the wishes of his family—ruled Lennon’s death a suicide. 4. Otis Byrd: In March 2015, local police found the body of Otis Byrd hanging from a tree in Port Gibson, Miss. Byrd had previously served time in jail for murdering a member of a powerful political family. After Byrd served 26 years in jail with no record of harming himself, he was released, committed no other crimes and found a job working on a riverboat—but he apparently decided to hang himself as a free man. Police and federal authorities ruled the death a suicide. 5. Ryan Singleton: Ryan Singleton always dreamed of acting and modeling, so he left his hometown of Atlanta in 2014 and headed to California. Once he arrived in Los Angeles, he rented a car to drive to Las Vegas. Then he went missing. Joggers found Singleton’s decomposed body in the Mojave Desert two-and-a-half months later with all his organs missing. Officials have yet to issue a cause of death, and what happened to Singleton remains a mystery. 6. Gregory Johnson: In November 2008, fraternity brothers discovered the body of Gregory Johnson in the basement of a San Jose State University house. The 20-year-old kinesiology major was 6 feet 2 inches tall but was found hanging from a water pipe 5 feet 10 inches from the floor in the basement of the house of Sigma Chi, the largest white Greek college fraternity in America. Despite inconsistencies in testimony and no ligature marks on his neck, Johnson’s death was ruled a suicide. 7. Feraris Golden: Police found Feraris Golden hanging from a tree in his yard by a bedsheet from his bedroom. An autopsy revealed that he had a .334 percent blood alcohol level and traces of cocaine in his system. But there were unanswered questions. 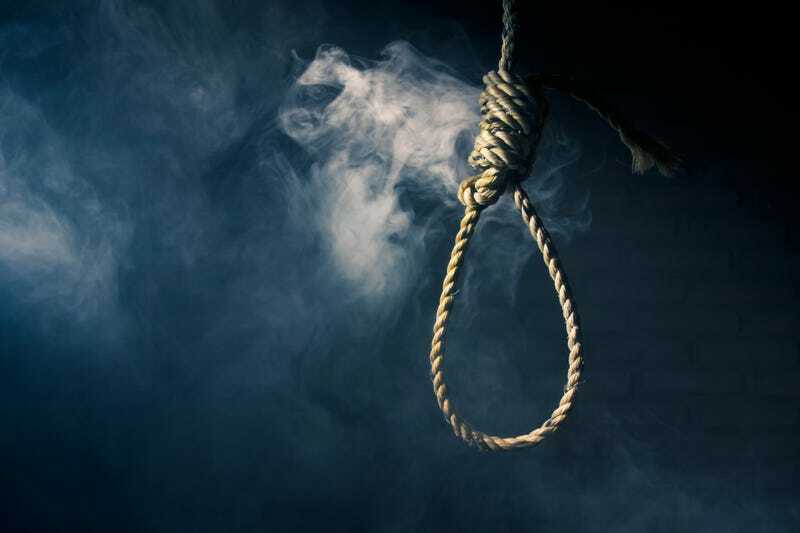 His relatives insisted that his hands were tied behind his back, and wanted to know how he could climb a 15-foot tree, tie a noose and hang himself while high on cocaine and with almost four times the legal limit of alcohol in his body. Was this retribution for dating the white daughter of a chief police investigator? Why were there no grass or dirt stains on his shoes? Police still ruled that the 32-year-old Golden’s death was a suicide. 8. Kendrick Johnson: In 2013, students found the body of 17-year-old Kendrick Johnson rolled up in a wrestling mat at a Valdosta, Ga., high school gymnasium. There was blood found near the wrestling mats, but police didn’t try to determine to whom it belonged. The clothing he was wearing disappeared at the coroner’s office. The initial coroner ruled the cause of death “positional asphyxia”—determining that a physically fit, high school athlete drowned in wrestling mats. A second autopsy by the Obama Department of Justice determined that he died from “blunt force trauma” to his head, neck and jaw. No one was ever charged in Kendrick’s death. It is 2017, and we are still asking the question.